Check the connectivity between Application Server and SQL Server Instance in Database Server. Check the connectivity between the application server and database server. Make sure that the SQL Server port (default is 1433) is opened and accessible through the application server. Make sure that the web site application pool account can access a specific database. 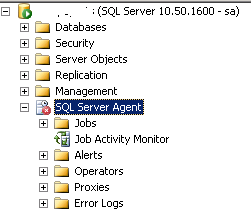 Make sure that the SQL Server account can access a specific database. When I tried to start SSRS subscription to send weekly reports by e-mail where the prerequisites for SSRS subscription is to be sure that SQL Server Agent is working,so that I opened SQL Server Management Studio to check SQL Server Agent status but unfortunately it stopped ! How to Convert Decimal Numbers to Money with cents / without cents in SQL. Note: The second statement faster than the first with 21 NS.